This is SkinMiles’ and Dr Alek Nikolic’s quick guide for anyone who suffers from Combination skin. 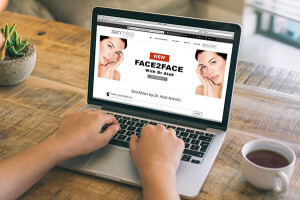 Get educated or directed in how to treat Combination skin, find out what causes Combination skin, and what Combination skin care products and treatments are recommended by Dr Alek Nikolic. Combination skin occurs when two or more different skin types occur on your face at the same time. Typically combination skin is used as a description when parts of your face are dry or flaky, and other parts of your face (such as the nose, chin, and forehead called the T-zone) is oily. However the true term Combination skin actually describes any condition where the skin has more than one skin type, concern or issue such as when wrinkles and breakouts or rosacea and dry skin are present at the same time.